I’ve been so busy that I almost forgot Yuri’s Night and this year, I’m simply adaping last year’s post and added a few new links and other information to it – no need to write something entirely new each year! 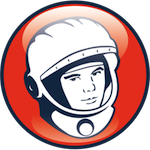 Yuri’s Night is an open, worldwide celebration of humanity’s first spaceflight on April 12th, 1961, which was also the first flight of the Space Shuttle twenty years later. It’s not about Soviet spaceflight or Yuri Gagarin specifically, but actually the fact that this was the beginning of human space exploration itself. It’s not about politics at all, which is especially important this year due to the tensions around the Ukraine and Crimea, but only a way to raise more public interest about space exploration. This is why Yuri’s Night has also been called the World Space Party, a celebration that humankind has ventured off its home planet for the first time. The number of events on the Yuri’s Night website is about the same as last year, when it went down from over 300 in 2013 to barely 200, so the interest at least seems to be stable. but there are still a lot of Space Parties listed, even here in Germany – as usual, unfortunately nowhere near me. But the organizers leave it up to everbody to make up their own event – throw a star party, just meet somewhere, screen a movie or hold an online event! Everybody can celebrate in their own way, but the organizers would just appreciate if you would let them know what’s going on so they can list it on their website. I’m not throwing much of a party this year again, because there will be unfortunately no stargazing opportunities at all due to the lousy weather, but I will be watching out for some special online events. This year, the Yuri’s Night team is going to talk to the New Horizons team, whose spacecraft will make a Pluto flyby soon, in a live hangout at 6pm UTC on Sunday. Of course, April is, as every year, Global Astronomy Month and I’m not sure if Astronomers without Borders have anything planned tomorrow, but there will be some online events around somewhere. The Virtual Star Party is, unfortunately, still on hiatus, but you can always watch all the past shows on Youtube. And while this is all going on, Amy Shira Teitel is live-tweeting the Apollo 13 mission with a 45-year time delay! And there is also something over on DVDLog too with a little collection of space-themed reviews, which I fortunately now have mostly translated to English. Keep watching my stream on Google+, find out more about Science and Astronomy related podcasts in the now regularly updated Hangouts Schedule or join us in the WSH Crew Community! And keep watching the skies… if you don’t have clouds overhead, you might see six humans in a big space station flying overhead. Some of them are even on Twitter and are posting photos and more from space!